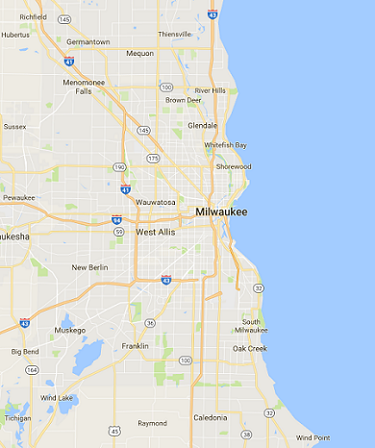 Based in Oak Creek, Wisconsin, Ehlers Pest Management is southeast Wisconsin’s premier pest control company providing comprehensive and environmentally-friendly extermination services for homes and businesses in the area. If you are located anywhere outside of the area shown on our service area map and need help with a pest problem, give us a call. We often extend our services to residents and business owners who are in desperate need of pest extermination. Our expert exterminators have many years’ experience with the pests that most often plague Wisconsin homeowners and businesses. Our approach is to use safe, environmentally-friendly methods of extermination to ensure the safety of your family and pets and to minimize our impact on the environment. We strive for the most effective, long-term solutions to pest problems rather than the one-shot approach of conventional pest exterminators. We can provide you with the best bug or rodent extermination services at the best possible price – contact us today to schedule an appointment. Bed bugs are one of the most troublesome pests we deal with. Over the years, they’ve adapted many store-bought pesticides used to treat them. Bug sprays and foggers? Don’t waste your time. Even if you kill a few you manage to see, there will be hundreds more hidden in tiny crevices that will survive. There is really only one sure way to kill off a bed bug infestation —heat, and lots of it. To ensure total victory over bed bugs, Ehlers has invested in one of the most advanced heat treatment systems available, and we follow up with a pesticide treatment to ensure there are no survivors to breed a new generation of tormenters. The professionals at Ehlers Pest Management are here to help you with whatever pest problems you may be having at your Wisconsin home or business. Whether it’s a nest of menacing yellow jackets above your patio door, a family of rats in the attic, or a bed bug infestation in every room of your house, Ehlers Pest Management will take care of it - quickly, professionally, and at an affordable price. 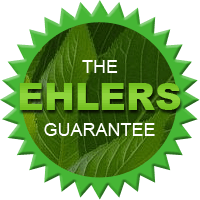 Contact Milwaukee’s pest control experts at Ehlers Pest Management today to learn more.